Sometimes, we can all be a little guilty of living in our own little worlds and forget that there is a big, beautiful one out there (beyond ours). I’m no Granny, but I am reminding you about WWF’s National Sweater Day – which is today. WWF focuses their efforts on Canada, but global fashionistas, this doesn’t mean that you can’t be a trend-setter in your own countries! Turn down the heat. Put on a fab sweater. Give the planet a cozy bear hug. I’ve dug through my un-digital fashion archives for the occasion, and scanned some of my favourite sweaters, from a time when there were a few more animals around (Yuppies included!). A classic Alexander McQueen sweater - like wearing a big hug all day long. I've always admired the style of Italian women on the streets of Rome - layers of rich knits - shown here in a vintage Vittadini ad. I remember when this Mimi Bizjak knit coat came down the Toronto runway. That whole collection was perfect, actually. Obsessed with black at the time, I remember this Perry Ellis ad throwing me for a loop. I coveted it. And I may have walked upon a beach in a big sweater afterwards. 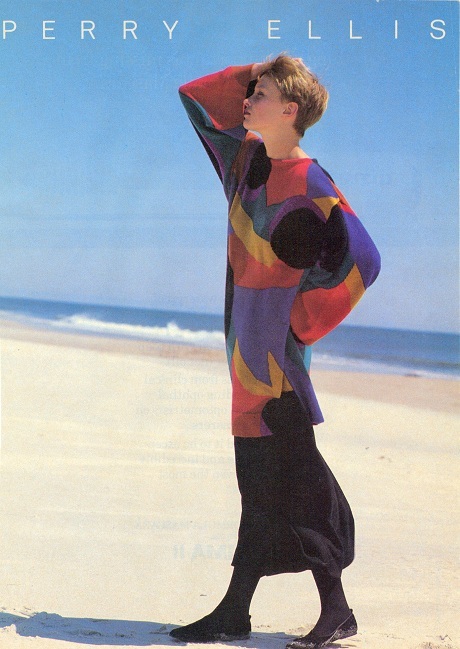 Yasmin Le Bon in a vintage Missoni ad campaign. This look had me fez-merized. YSL's 1990s homage to the 1980s. I would wear this today, in a heartbeat...with more Kerastase in my hair! And who could ever forget Krizia's wildlife sweaters from the '80s? That's a puma with a red rose. Seems kitschy now, but everyone at the time wanted one. The wolf sweater from the collection was my choice. 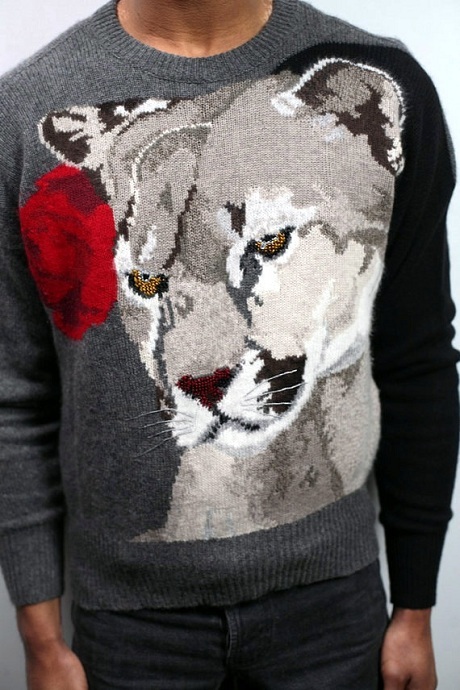 Stella McCartney, a passionate planeteer, did a similar sweater for her PF09 collection, with snow leopards. Most images are scanned from my personal archives, so I am listing sources from memory (fashion things stay in my head): McQueen photo from Vogue Magazine; Vittadini, Missoni, Perry Ellis images were all ads from the 1980s and appeared in most major mags; Mimi Bizjak is from FASHION Magazine; YSL photo is likely from Harper’s Bazaar Magazine. Stella McCartney shot is from Style.com; Krizia sweater shot is from Etsy.com.